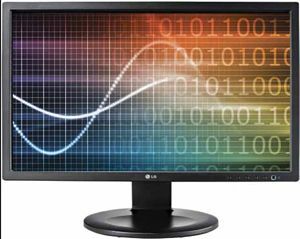 The LG Cloud Monitor is an innovative product that combines a Teradici PCoIP Chipset with a monitor. This feature allows it to fill a small footprint that natively runs VMware software for a powerful virtual desktop experience. It will remind most users of a thin client; however, it distinguishes itself in a new class of “zeroclient” devices as it has no processor or moving parts. The screen itself is an LED model that provides vivid color and a quick response rate with HD quality. Quality and Effectiveness: This is a product that will require some investment in virtualization within your organization. Anywhere there is power and a network, you can have a client with almost no footprint. It comes with an adjustable stand that easily raises, lowers, swivels, tilts, and rotates. The monitor also has dual output options, four USB ports, microphone in, audio out, and built-in speakers that gives the user the full desktop experience in a single form factor body. Ease of Use: For those that are already using VMware to virtualize desktops, this is a plug-and-play device. Connecting it to VMware is as simple as entering in the IP address to the server. All that is needed for a full virtualized computing experience is access to a network and power. It is also UPoE ready, which means that with an optional adapter (available for approximately $50) the unit can run from “power over ethernet,” which eliminates the need for the electrical outlet. This would allow the device to be placed anywhere a network cable could be run. The cost is comparable to other thin clients with a monitor added alongside; however, this is a single device, thus reducing the footprint. Creative Use of Technology: As cloud technology continues to have an effect on how people interact with technology, devices like this will become the norm. As schools start to build their own cloud computing and storage systems that run virtualized desktops or applications, “zero-client” monitors will fill a need. There are many places in a school setting where space is a premium and this LG monitor can provide virtualized computing power in almost no space. Suitability for Use in a School Environment: The LG Cloud Monitor is the perfect device for a classroom, lab, library, or any public area of a school. Once it is placed or mounted, there are no parts to worry about replacing or fixing. It would be convenient to place the monitor behind glass or plastic to ensure security and allow for easy use. With no hard drive or other moving parts running, there is no noise emitted from the device. The lack of moving parts and use of an LED screen will result in a longer life for the equipment and using very little power. • The integrated chipset and features leverage a zero-footprint virtual desktop experience. • The picture quality is superb and responsive. • There are no moving parts, which leads to a silent and efficient workspace. OVERALL RATING: If you are already working in a VMware environment or are moving that way, this is a device you must consider. The cost might be on the upper end of comparable thin-client servers, but with everything needed for a computing experience built into a single small-form factor, the total cost of ownership should come out ahead.